A sticky note is to an Agilist, what a guitar was to Jimi Hendrix. A really important tool. 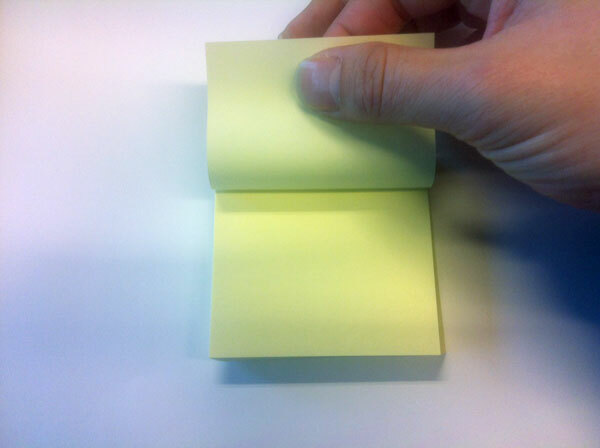 Albeit sticky notes are called sticky notes, they don’t always stick that well. They tend to curl up, and fall to the floor after a while. But there is a solution in the way you peel off the sticky note. 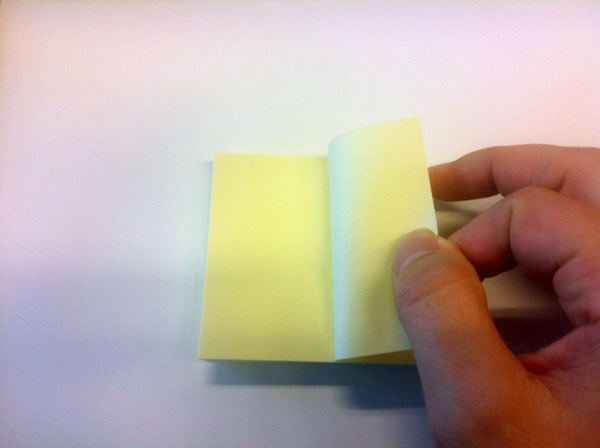 But when you do it this way, the sticky note will curl up and disappear from your wall after a little while. With the risk of ending up in the dustbin. There goes your splendid idea or “must not forget” thingy for that important presentation. 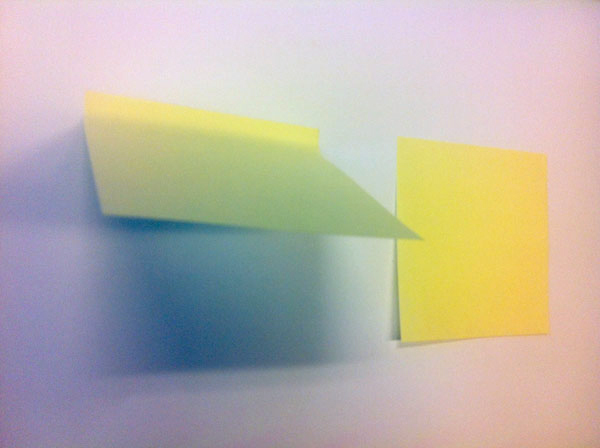 When you stick this sticky note to the wall, you’ll notice that it doesn’t curl up, and thus will stick many times longer. P.S. If I remember correctly, it was Dirk who told me this a few years ago. Godspeed you! P.P.S. I had kind of the same A-HA moment when I saw this video on how to peel a banana. yes, so stupid and yet so important.